Whether you are running a small business or are a large company, you cannot ignore the power that social media is now having on business. It is the reason why many large corporations spend so much money on social media advertising and on marketing their strategies through social media. If you haven’t started using it for your business yet, then here are some key reasons why you need to start thinking about using social media as part of your marketing strategy. A recent study showed 37% of Internet users follow their favorite brands on social media. It also showed that 30% of Internet users, in general, use social networks to research products. This means that quite a high percentage of your customers or potential customers are looking at the Internet for what they need. They are also actively using social media not only to follow their favorite brands but also to research products that may have seen elsewhere. If you have been struggling to raise your brand awareness, and social media can be one of the biggest ways to do it. As well as raising your brand awareness, you’re also enabling your brand to reach more people which hopefully will turn into more sales. Another reason social media is so important for business is it gives you great insight into what your customers are doing. With social media, you can look at what your customers are looking at find out where the hanging out and what things they like and don’t like. You can then use this information to better target the areas your customers visit with your advertising. Of course, it doesn’t mean just looking at their profiles or seeing who they are commenting on; italso means interacting with them. For example, if you know that your customers are commenting on a specific topic, then why not join in the conversation? You don’t want to be commenting on anything too controversial, but you can have fun and spend some time getting to know your customers better. No matter how good your company is, sometimes things can go wrong,and customers make complaints. How your company deals with these complaints can vary depending on what options you give them. For example, some customers won’t register a complaint at all and will simply go to social media to vent their feelings. For your company, this can be damaging,so it’s important that you try to engage with your customers as quickly as possible. Monitor social media for your company name or your products and see what your customers are saying about you. If you see something that looks like a complaint, engage with that customer and see if there’s anything you can do to help them. This will not only help to build more trust between you and the customer, but it will also show others that you want to engage with them and help them as best you can. Social media can offer your company the quickest and most reliable feedback of any other platform. All it takes is a poll or just a simple question,and you can get many customers giving you their opinion. Though this might sound like a damaging thing to do for your company’s reputation, it is actually a good idea if you want to move forward with your company’s customer service. No company gets things right all the time, so they were going to be things that will come out that will be negative. However, the reason why this is so important is that you’re getting direct feedback from your customers about what you can improve and what you’re already doing right. Marketing on social media can be incredibly powerful, and it doesn’t have to cost your company a lot of money. For example, there are many ways that you can market your company on social media without spending a dime. By simply posting regular updates about your website or your new products, you are in effect marketing your company to all of your customers and potential customers. However, if you have the budget, you can also use social media for paid marketing. If you need additional funding to support a marketing campaign, there are many ways you can do this. You can learn more about additional types of funding online. With social media, it’s possible for you to target specific areas of the country or specific demographics so that your advertising is reaching the people you want to attract. If you’re using social media the right way, you will soon start to see more people replying to your posts and your comments. As well as engaging with your customers, this can also help to create new opportunities for your company and your brand. For example, there may be another company who is looking for collaboration that could approach you with regards to an agreement between the two of you. Similarly, there could be a branch of stores who are looking to include your products as part of their stock. These and other opportunities may not be as available to those who don’t use social media. Whether you think social media is appropriate for your company or not, the truth is that many companies are now using it.That means that your competitors are also using it, and may well be getting an advantage from having it as part of their main marketing plan. For that reason alone, it’s important that you become involved in social media so that you are staying with your competitors if not trying to get ahead of them. 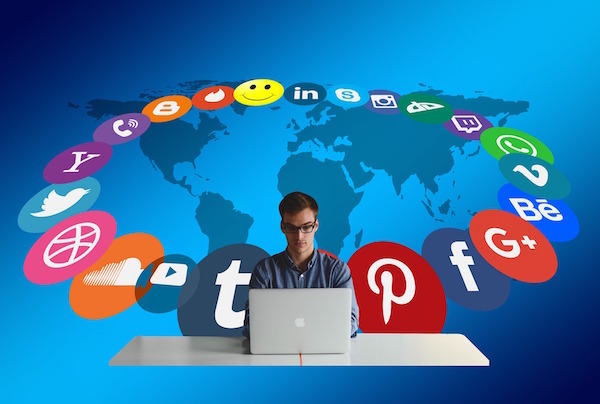 There are many reasons why social media is so important to business and is why so many companies all over the world now realize this for themselves. If you want to keep your business on a level playing field with your competitors, you need to think about setting up your own social media accounts for your business.